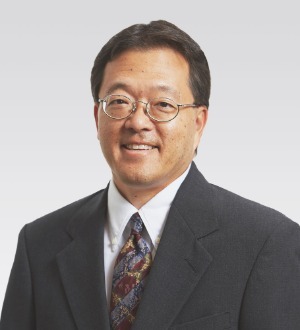 Jon Yamamura is a Partner in the firm's Honolulu office and is the Chair of the Transactional Practice Group. He concentrates his practice on real estate, mergers and acquisitions, buying and selling businesses and business interests, and business planning and reorganization. Mr. Yamamura also works on a wide range of complex corporate and finance projects and cases. In addition, having served over two years as a foreign attorney on staff at the Anderson Mori law firm in Tokyo, Japan, he has broad experience with Japanese and other foreign clients. The purchase and sale of hotel and resort properties, including golf courses. Work includes the negotiation, review and preparation of all phases of transaction documentation. Represents both landlords and tenants in commercial lease transactions, including ground leases and office leases. Work includes negotiating lease terms and drafting lease documents. The purchase and sale of a wide range of ongoing businesses and business interests (e.g., medical and dental practices, restaurants, etc.). Projects include both stock/partnership/LLC transactions and asset transactions. Work includes due diligence review, negotiating business points, drafting acquisition documents and helping clients with post-closing transition issues. Advises clients on the commencement, maintenance, expansion, and reorganization of business operations throughout the State of Hawaii. Work includes mergers involving foreign and domestic companies (both profit and nonprofit), corporate, partnership and LLC documentation, and structuring and reorganizing business operations. Handles general business concerns, including contract needs, licensing/permitting, and day-to-day operational matters. Assists clients with loans, loan refinancing, loan workouts, debt restructuring and other finance-related issues and concerns. Work includes the negotiation, review and preparation of all phases of loan documentation.